Retaining all the benefits of our customers' favourite boiler for retrofit projects, the new mk2 model now features enhanced built in boiler sequence controls, spark ignition and lower NOx levels (<40mg/kWh, European Class 6). 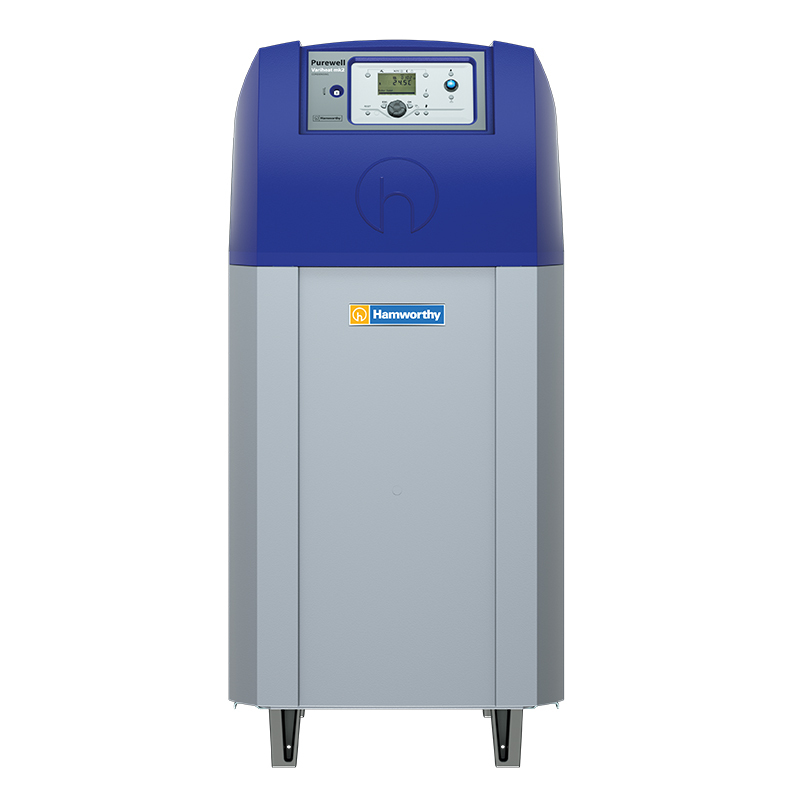 What’s new in the Purewell Variheat mk2 boiler? Enhanced built in Siemens sequence controls – accurately control up to 16 boiler modules and hot water circuits for energy saving operation. May remove the need for separate boiler controls in less complex buildings. Boiler controls are now standardised across all Hamworthy pre-mix condensing boilers. Easy access for service and maintenance – quick to remove covers with hooks and dog points instead of screws. Spark ignition – changed from the previous hot surface ignitor, enables servicing without the need to remove the whole burner. What features have stayed in the Purewell Variheat mk2 cast iron condensing boiler? Small footprint - sits on same footprint as many traditional and atmospheric boilers, reducing space concerns. Site assembly – for difficult to access plant rooms in basements, etc the Purewell Variheat boiler can be taken apart and reassembled in situ. Exceeds the efficiency levels of the Energy related Products directive and Building Regulations Part L – high efficiencies mean lower running costs and assurance of compliance with future legislation. Rediscover our cast iron boiler now with spark ignition and integrated boiler sequence controls.